I am sure most of you have heard about Pinterest. And if you have, I am certain you have also wasted countless hours spend a lot of time looking at beautiful images and getting inspired. You can find my Pinterest profile here or through the new Pinterest social button on the right side of the header. I am only just getting started there but I would love to connect with you through this great tool of creative inspiration. 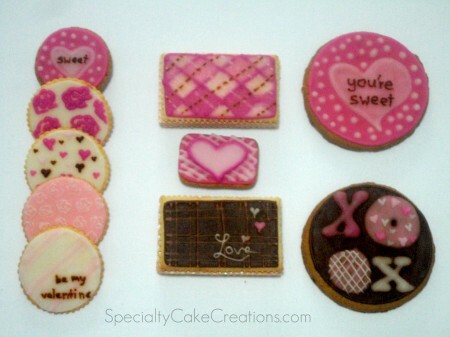 On one of my recent inspirational sprees I came across these super cute Valentine’s cards and couldn’t help but wonder what these lovely designs would look like on decorated cookies. 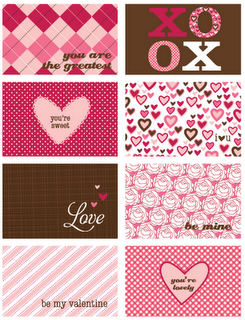 The Valentine’s cards were designed by Muffin (aka Pauline Grayson) from Sweet Muffin Suite. I was thrilled to find out that she has been sweet enough to make these cards available to download from here site for free. Either follow this link or simply click the image above. These are perfect as little greeting cards for your child’s school party, or as gift tags or little note cards. 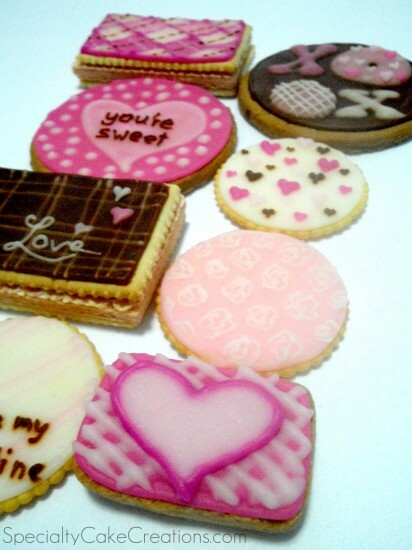 But now, let’s see how we can bring the sweet designs from the cards to cookies. 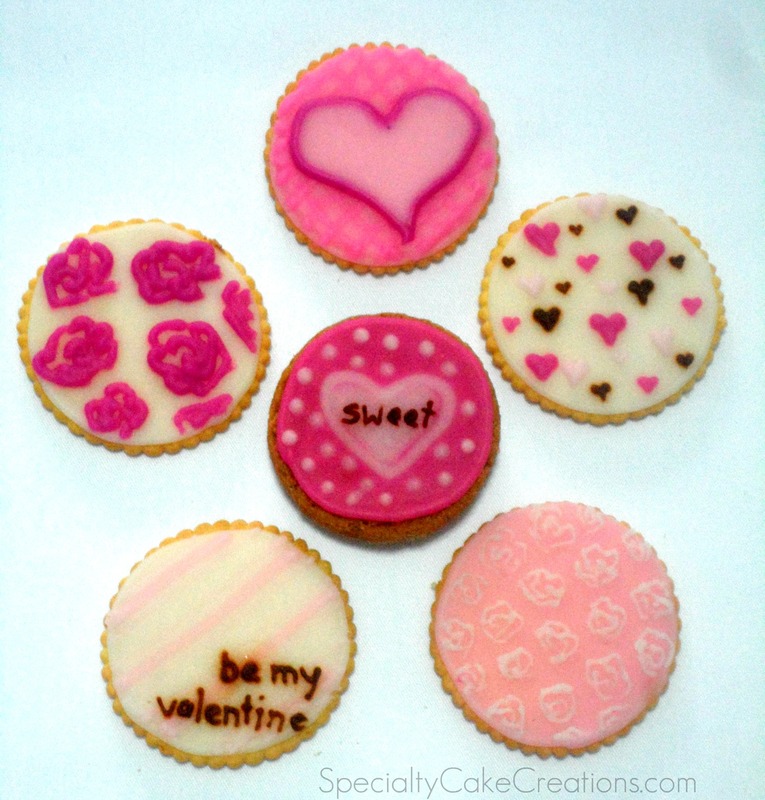 These are one of the first decorated cookies I created in Thailand and it was also one of the first times for me to use glaze icing to decorate cookies. The newly discovered Thai icing sugar came in real handy for this. 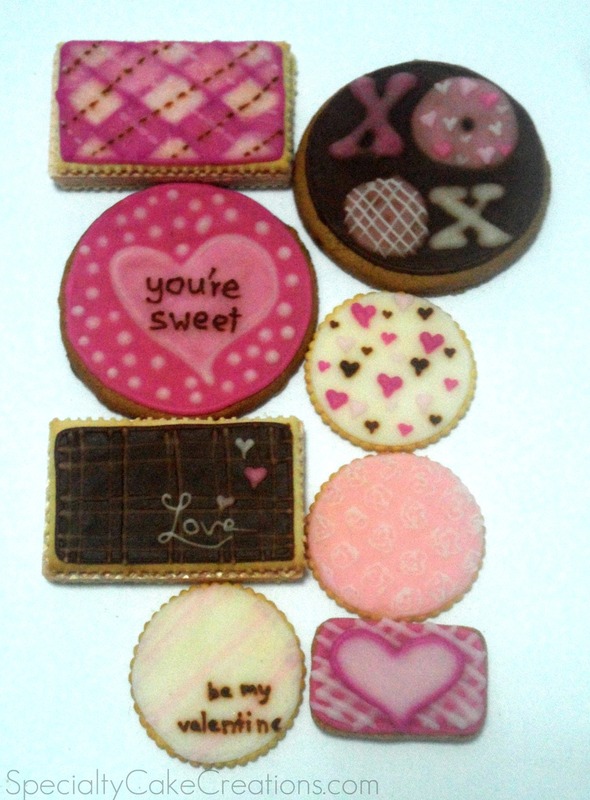 Some of the cookies are decorated with a design that comes right from the Valentine’s cards, while other designs were simply inspired by the general theme. Here you can see the designs side-by-side in the cards and the cookies. 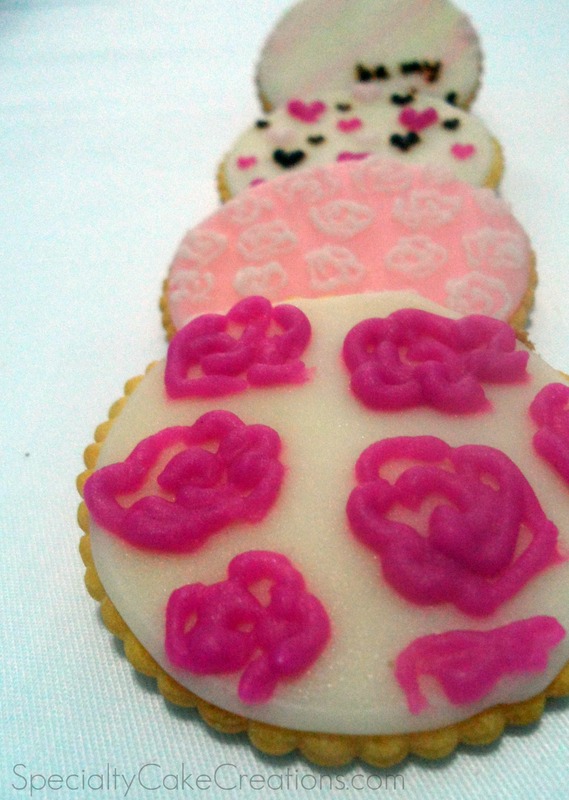 I admit, some designs were easier to create on iced cookies than others. MY favorite were the multi-colored hearts on white and the white roses on pink. 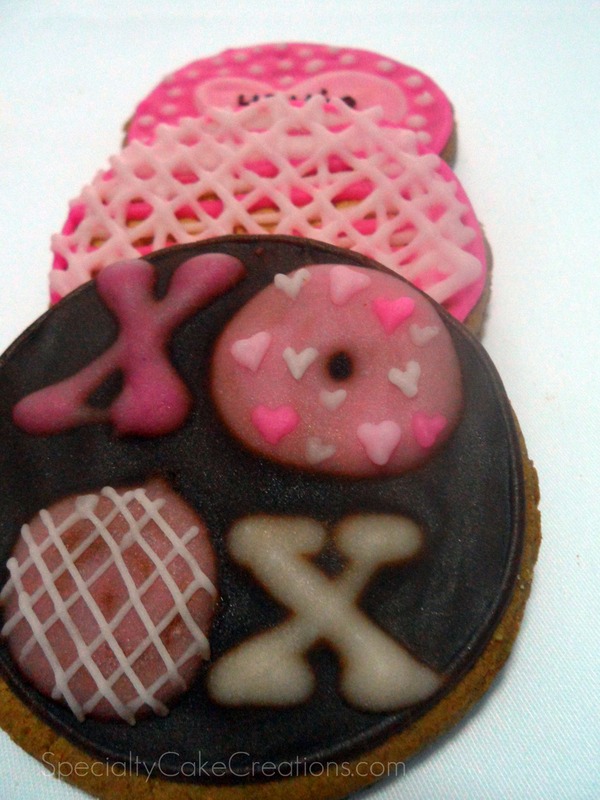 What are you preparing for Valentine’s Day this year? Going with the Valentine’s Day theme I have a few other posts prepared for you. One of them is a picture tutorial on how to make red velvet cake. I hope you’ll be on the lookout for it. And hopefully, you are having lots of fun, just like me, being creative with all the pinks, and hearts, and utter cuteness of this time of year. I LOVE that brown plaid cookie!! Great job!